Wilcox & Barton, Inc. operates offices in Vermont, New Hampshire, Massachusetts, Connecticut, and Hawaii. 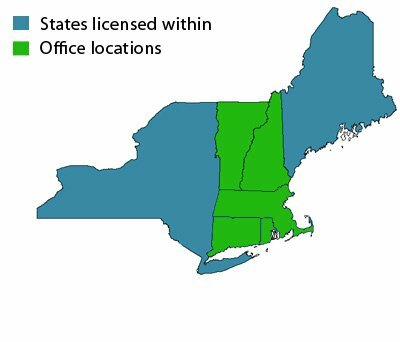 While our core business is primarily in the New England and New York area, we travel nationally when needed for clients. Previously, we have collaborated and completed projects in Texas, Tennessee, Georgia, Virginia and Missouri. If you are an existing client and need to contact a particular staff member, please click here or contact us at one of our office locations listed below. Call toll free at (888) 777-5805. For more information, please feel free to call 888-777-5805 or use the contact form below. ** Please note: Fields denoted with an * are required fields and must be filled in to submit this form.